Since I'm obligated to use pumpkin, an autumn ingredient as the theme ingredient for Little Thumbs Up for this month, I'm making use of its bright orange colour to help me to create something bright and pretty for Spring. Nice bright colour, isn't it? ... but I have to say that these pumpkin flower buns are not as prettily shaped as the plain ones that I made previously. Although the previously made plain flower steamed buns are nicer in their looks, I find them a little too soft to eat with lesser texture or structure as the buns collapse immediately after their first bites. For this reason, I hope to pursue and explore more steamed bun recipes from the book, the first book of noodles for beginners by Carol Hu. I have used a different shaping method from the book to shape these buns and wonder if this is the reason why the buns are not as pretty as expected. Personally, I don't think the problem lies with this alternative flower bun shaping method as the dough is actually quite sticky to handle. I like the natural sweetness of this ingredient. 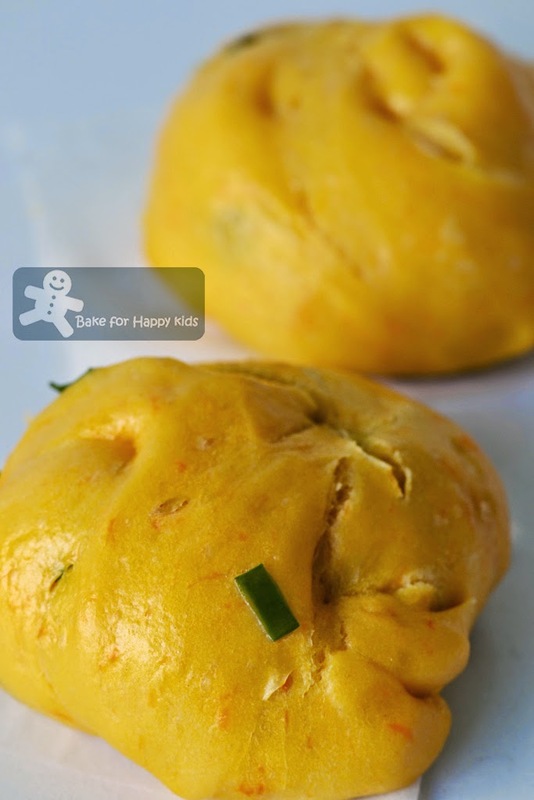 I have to say that making this pumpkin steamed buns dough can be a little tricky. As this recipe contains mainly mashed pumpkin, the mash acts as the liquid agent to absorb dry ingredient and bind them together to form a dough. 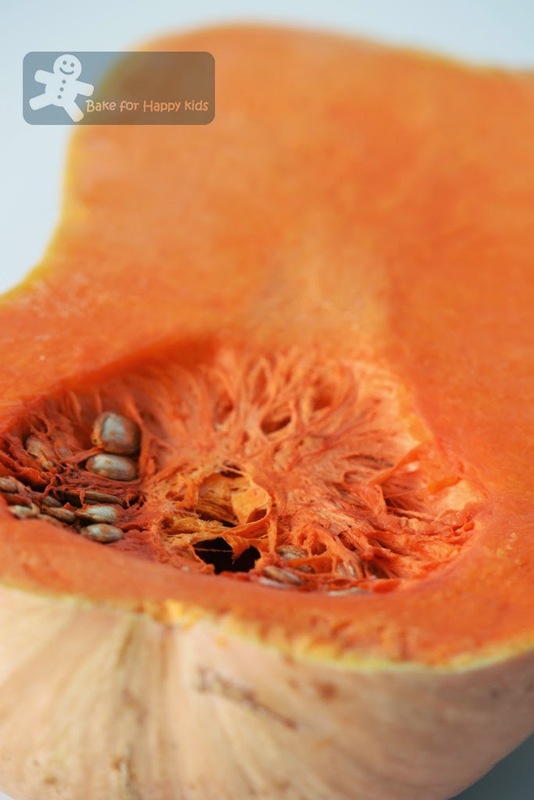 However, the absorption power of different batches of mashed pumpkin can vary depending on the actual water content of steamed pumpkin and type of pumpkin used. For this reason, I have increased the amount of milk slightly to combine all ingredients into a sticky dough initially and fine tune the texture of the dough slowly by kneading in more flour subsequently. This is what I did. These are the ingredients and steps that made the steamed buns pretty and yummy! Keep stretching and twisting to get more defined flowery patterns. These buns need any extra timing for second proving. Not so flowery buns... Ops! The corners of the dough don't make very pretty buns. ... but they are all fluffy and delicious! Using a breadmaker, mix all dough ingredients and knead into a smooth dough and allow it to prove for 1 hr. At this point, you can either store the dough in the fridge to use it on the next day or use it now. If breadmaker is not available, kneading this dough by hand is possible. Combine pumpkin, both flours, salt, caster sugar and yeast in a mixing bowl. Make a well in the flour mixture, add milk and oil mix to form a dough. Transfer dough onto a lightly floured work surface. Knead to form an elastic and smooth dough (at least 15 mins) and then let it rise for 1 hr. 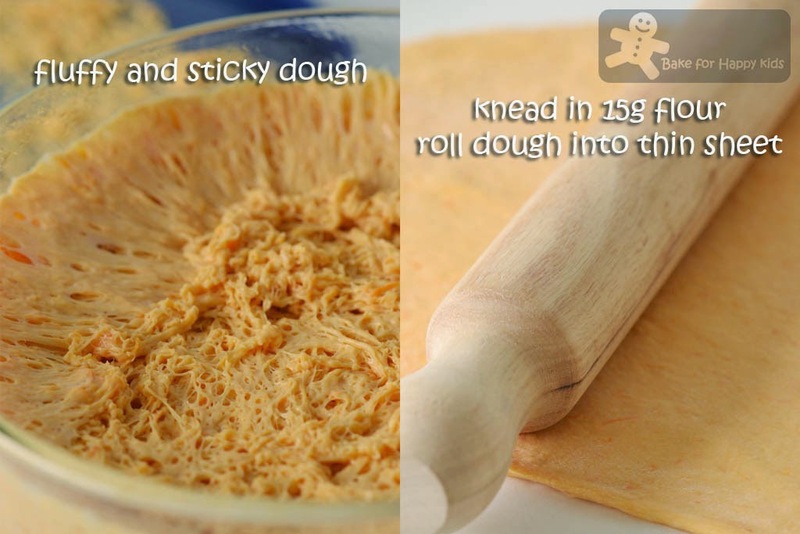 Before rolling, knead in 15-20g of low protein flour to fine tune the dough texture. Add more if it is required. Roll into a large rectangle sheet with 5mm thickness. Sprinkle 1/4 tsp salt evenly on the rolled dough. 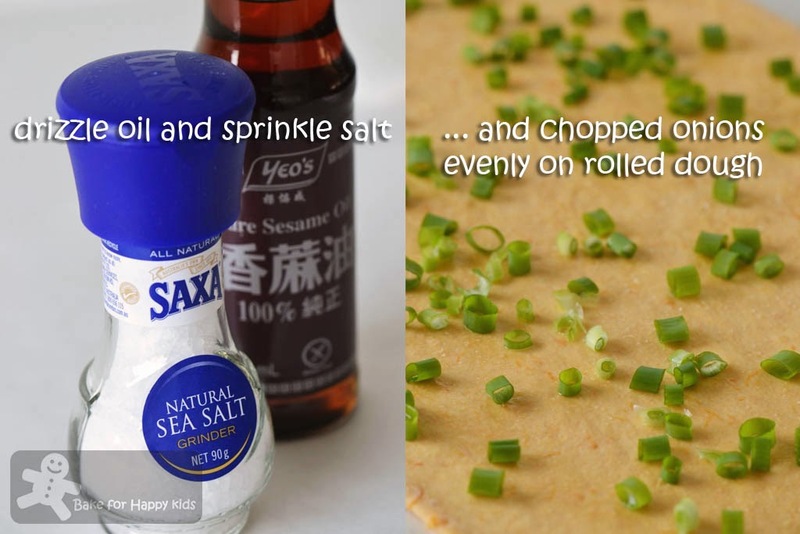 Using a pastry brush, brush the sesame oil on the dough. Then, distribute the spring onions throughout the oiled surface. Start rolling the sheet along the longer side of the rectangle and roll it into a Swiss-roll-like rod and cut into 20 equal pieces. 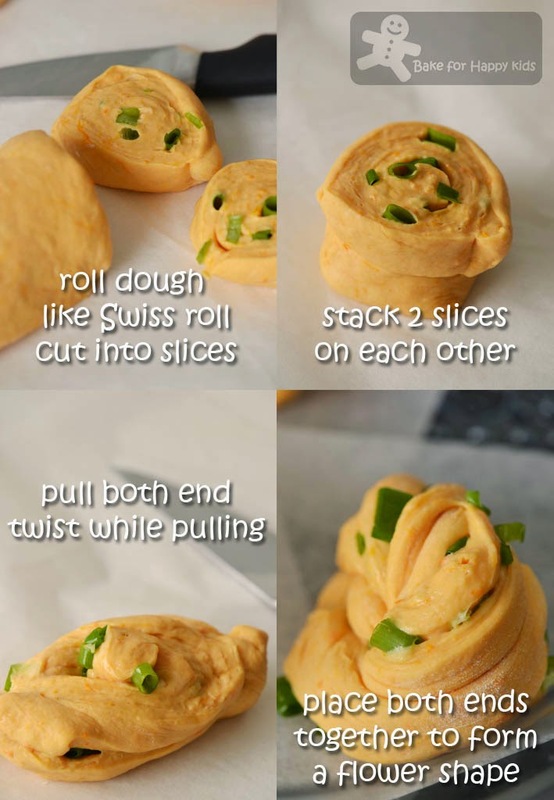 Place two pieces of cut dough on top of each other. Hold both ends with your finger and pull. Stretch and twist the dough while pulling and this will form a nice flowery pattern.Tuck in the ends of the dough into its bottom as you allow the flowery pattern to display as the main part of the bun. Place a piece baking paper on each of the shaped buns and place them on steaming racks and place the rack under lukewarm water (about 37°C) and let it prove for 1 hr or double the size. 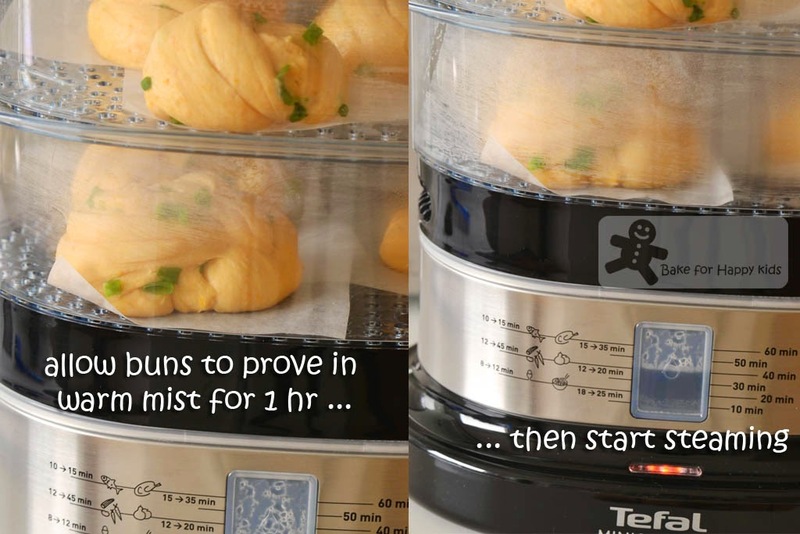 Steam buns for 15-20 mins or until done. The steam timing varies if you have multiple layers of steamed buns to steam. The layer that is closest to the direct steam will take 15 mins to cook. When ready remove the buns immediately from the steamer and serve warm. Pumpkin buns.. Looks really soft & fluffy & yummy, but I've never had it before.. When I read your title (before reaching the end of the title), I thought it was pumpkin steamed cake, like yam cake (woo tau kou).. So I thought this was "kam kua kou", but oohhh, I was wrong, it's steamed buns! Looks really good.. I can have 5 for breakfast - kosong.. 5 for lunch, dipped in kaya.. 5 for tea, dunked in Milo and 10 for dinner, with egg mayo spread !! Low protein flour is flour with lower protein content. Typically, most all purpose flour contains 10g of protein in every 100g and most low protein flour contains 6-8g of protein in every 100g. 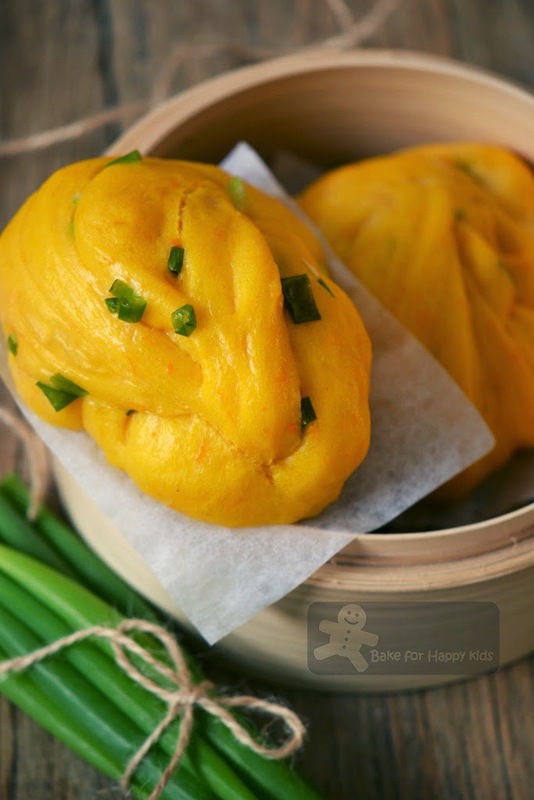 With lesser protein (or gluten), the dough will have lesser tension and strength, thus yielding buns with less elasticity and more tender texture. If you are kneading the dough by hand, you have to keep kneading until the dough is smooth and elastic and this means that the gluten in the dough has developed its tension. I know this process will be manual and time consuming but it is totally essential to make the yeast and gluten works optimally. Hi Zoe,your pumpkin buns with yellow-orangey colour,very beautiful !!!! I make these pumpkin flower before. Mine is a little bit over proved. The nice flower shape was gone and the skin wrinkle a bit after steaming. Yours looks lovely with that golden colour. never try 葱花卷before as I worry i cant handle to shape the flower as what you did. Thanks Zoe for your link up to LTU, really appreciate it. i like the pumpkin's colour....very nice! Yes, me too... I always enjoyed looking at your post pictures! And at this post, I especially love your last picture....the buns looks so soft indeed! 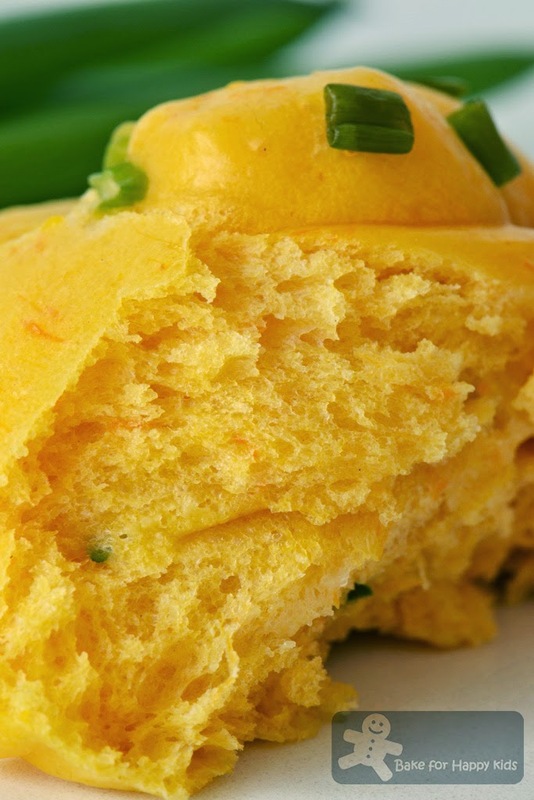 Pumpkin and spring onions makes this buns exceptionally sounds really yummy! Hi Zoe, very glaring in LTU today ... I need to put on sunglasses cos everywhere is bright orangy pumpkin chiffon cakes. And your Pumpkin Spring Onions Chinese Flower Steamed Buns. So cheerful .. love this bright colours. Looking delicious here. Yummy yummy. Hi Zoe, your flower buns using pumpkin look so nice with natural orangy colour. I believe these buns are soft and flavourful with the spring onions. I made these but these days I just make them round. Age is catching up or am I too busy.....? Hehehe! It's October, so it's pumpkin season! These are terrific -- love the recipe. Thanks. Your buns looks very soft and fluffy. Have seen this book at bookstore but sadly it is not in bilingual! Will try to make something for this month if I can. wow.. this looks so exotic and special. Like the sunny bright color n the mantou looks good too. Hi Zoe, I love pumpkins a lot for its vibrant orange colour. You've made these buns look so beautiful! wow! love the orange colour! Your pumpkin flower buns looks so bright and inviting. Beautiful! Your flower buns are so nicely done. Don't think I can do it with my clumsy hands! Ooooo your buns look so soft and fluffy, and definitely loving the colour! Perfect timing. I actually just got a butternut toady. Now I have some ideas. Wow, bet you can open up a bakery, Zoe! Have a wonderful weekend, dear! Such a gorgeous buns, looks stunning..
You are really good in buns. I must try out one of your buns recipe! Hi Zoe, I'm back today for this month's LTU - Pumpkin. These pumpkin steamed buns looked soooooo good! 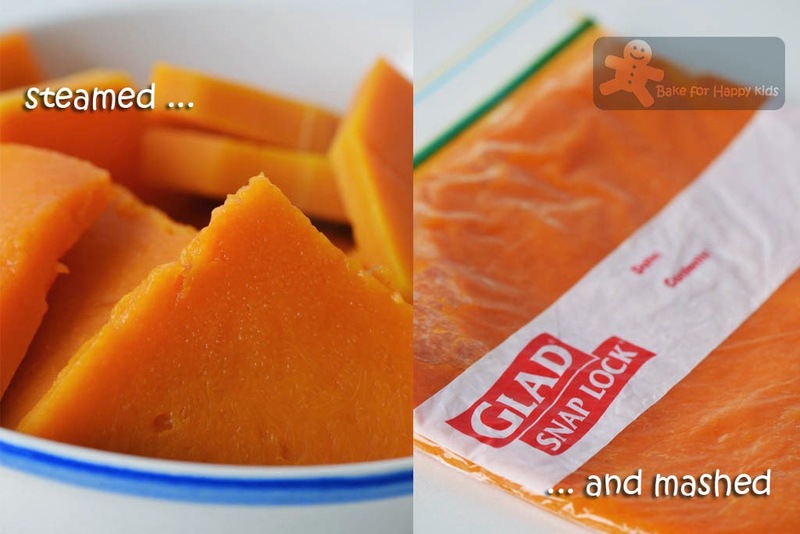 The colour of the pumpkin is always the reason why I like using it in cooking/baking, haha! Very pretty-looking buns! Wow! the colour of the buns are so tempting!